The researchers used information from the GENOA study. The GENOA study was conducted in Jackson, Mississippi, between 1997 and 1999. It enrolled African Americans with high blood pressure and their siblings (at least one of whom also had high blood pressure). People in the study ranged in age from 35- to 86-years-old. 78% were women and most were obese. Participants in the study took detailed tests to measure how well they could think and make decisions. Researchers noted participants’ body weight, height, waist measurements, and BMI. The researchers assessed the participants a second time between 2001 and 2006, and conducted a final visit between 2009 and 2011. Having too much abdominal (belly) fat in mid- or late life was linked to a much higher risk of mental decline. Weight loss, weight gain, maintaining a stable weight, and overall obesity were not linked to mental decline. Among middle-aged participants, losing weight was linked to higher scores on cognitive tests. Gaining weight was linked to lower scores among middle-aged participants. On the other hand, losing weight in later life was linked to lower scores on cognitive tests. Gaining weight in later life was linked to higher scores on cognitive tests. Having the combination of a smaller waist measurement and a higher BMI appears to be linked to higher scores on those tests. The researchers suggest that combining waist measurements with BMI in future studies might be a more accurate way to predict how well a person will retain the ability to think and make decisions in later life. 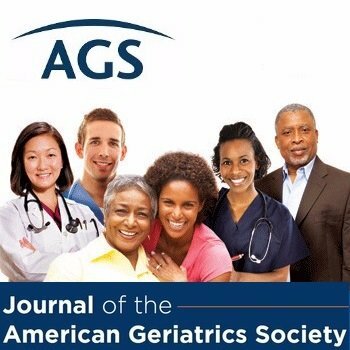 This summary is from “Adiposity, Change in Adiposity, and Cognitive Decline in Mid- and Late-Life.” It appears online ahead of print in the February 2017 issue of the Journal of the American Geriatrics Society. The study authors are Nancy A. West, PhD; Seth T. Lirette, MS; Victoria A. Cannon, MD; Stephen T. Turner, MD; Thomas H. Mosley, Jr., PhD; and Beverly G. Windham, MD. This entry was posted in Health in Aging, JAGS Research Summaries and tagged BMI, obesity, research by HIA Guest Blog. Bookmark the permalink. I very much agree with what you wrote in this article. Thanks for sharing the effects of obesity.Keep do posting such type of information with us.